A classic type, tailored for great fit, comfort and worth. 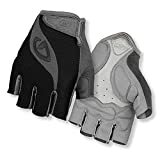 The Tessa is a gel-padded women\'s glove that delivers the comfort and feel Giro\'s Super Fit ergonomic style and large-high quality development at an affordable price. It really is a excellent option for recreational riders, or riders who prefer the truly feel of a far more traditionally padded glove.